Join the Alaska Avalanche Information Center, Alaska Avalanche School, Chugach National Forest Avalanche Information Center and more to get prepared for your winter adventures at the SnowFest! Hands on activities, prizes, equipment demos, films, plus more. All Thanks to AARP Alaska! 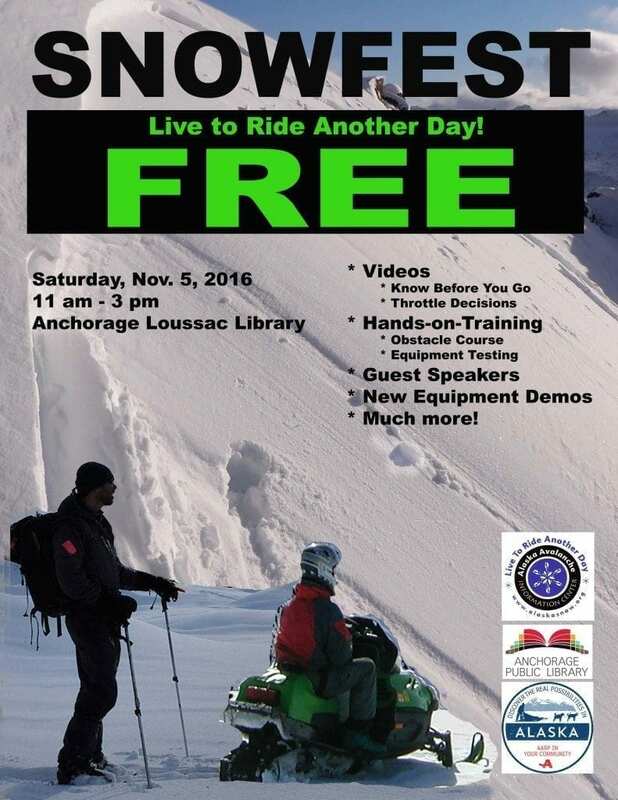 It’s all FREE and will run from 11 am to 3 pm at the Anchorage Loussac Public Library, 3600 Denali Street, Anchorage. Great for ages 10 years and up. Tune up your backcountry travel skills for winter now!